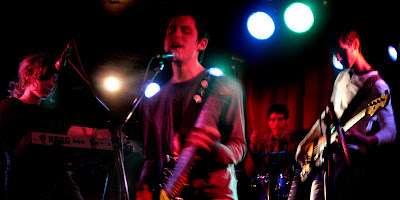 When The Sun Hits is proud to feature the following interview with Jeff Kandefer of The Daysleepers, one of our all-time favorite shoegaze bands, and conducted by one of our new staff writers, Ellie Sleeper. Jeff was one of WTSH's very first interviews when the blog was first starting out, and Danny and I were so proud of it. The original 2010 interview with Jeff remains one of our most-read to this day. Since then, we've had so many readers ask us what The Daysleepers are up to these days, as they have been relatively quiet for some time now. Well, dear readers, the wait is over. Move your eyes in a downward motion to read the full interview. Enjoy! 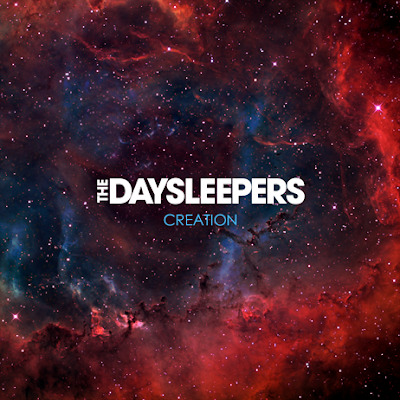 The Daysleepers were formed in November 2004, in Buffalo, New York by Jeff Kandefer who gathered some friends from other bands in the local music scene who shared a love of ambient, ethereal indie rock. The Daysleepers are a self-release band on Rain Delay Music, an independent shoegaze record label. Their goal is to create a huge volume of recordings in which the band will have complete control and rights to. The Daysleepers Debut EP, Hide Your Eyes (December 2005), won the band many fans around the world (selling out the first pressing), and praise from shoegaze legends such as Robin Guthrie (Cocteau Twins), Rachel Goswell and Neil Halstead of Slowdive. It also hit 1 for several weeks on the Tonevendor (Renowned Shoegaze Distributor) top 20 record sales list. In October 2006 The Daysleepers released there 2nd EP/Mini Album, The Soft Attack. This EP shows a heavier side of the band’s sound, with ethereal guitars spinning way into outer space, and vocal melodies that hauntingly soar to new heights. Their first full length album, Drowned in a Sea of Sound, was released in May 2008 and builds on their earlier music while retaining their trademark vocals, drums, and density of sound. The band’s most recent release was an EP of remixes, b-sides and demos entitled Waves of Creation. If I remember right, you mentioned the nature of the band has changed a bit, or that you’re at least all living farther apart. Who’s on, who’s off, and how has it been managing any of the changes? Yes, it's true and really, it's why it has taken so long for us to get things together for this next album. It's difficult to come up with a system so that the dynamics of the band are not lost. It has taken some experimenting. Since we live farther apart now and our schedules are very busy, we can no longer just rehearse whenever we want like we did in the past. Things have to be more planned, and it could turn out that when we do get together it's an off night, and things just aren't flowing. It used to happen in the past, but the time and distance in-between wasn't so vast. That has slowed things down tremendously, and at the same time you don't want to rush things or else the quality suffers. It is just a long process. I think what the system really has to be now is me writing & recording the songs and then passing them off to each member to put their tracks down. Not quite as natural, but I am confident that it will work. I am still in the process of writing and recording all of my parts at my home studio. I haven't even given anything to the other members yet. The "Creation" album is really the focus for me right now. "Creation" is sort of a collective title for what will most likely be 1 album split into 3 EP's, mainly to get the material out faster. My ideal plan would be to release it as 3 EP's only in digital format, and then release a Vinyl collector’s edition with all of the tracks together like a proper album through Clairecords. That's my master plan as of now. As far as touring goes, that is something that we have never done. We are basically just a recording band that has played some select shows in the past. Our favorite thing to do is record. You hinted at the title “Crystalskin” on the official blog. Should we expect any preview or news on this any time soon? Is there a particular track that you’re leaning towards making a single or a particular track you’re most excited about sharing with fans? Yes, actually "Crystalskin" is the name of one of the new tracks that is probably the farthest along of what I have recorded so far. I am working on getting a demo version out soon so everybody can see the direction that the new material is taking. I am excited about this track because I feel it has a good mix of the old Daysleepers with the new sound. One song called "Echo Through the Universe" is pretty single-like, and another one that I am excited about is called "The Power Cosmic", which I think will be the first track on the album. Have you been listening to anyone exciting you want to share with our readers? Are there any new influences—whether past or current artists—you want to bring up? I am always submerged in music. Being a designer for a living I listen to music all day, except when I need a break . . . then I listen to NPR, but then I go back to listen to music again. Lately I am a big fan of Wild Nothing, Magic Wands, Washed Out, High Highs, Geographer, Strange Talk, California Wives, Sea Wolf, Bon Iver…stuff like that. New albums from Circa Survive, Coheed and Cambria, and Pinback are great as well. Also, I have been listening to a lot of Dinosaur Jr. (both old and new material) lately. I love their latest album "I Bet on Sky". They just have such a classic, raw sound that always feels fresh and so unique to me. I love all their quirky album artwork, and all those beautiful Jazzmasters that J plays. Overall just a great band. You noted that fans might be able to expect a spacier, even dreamier Daysleepers on Creation. Have you picked up any new gear that’s impacted the sound lately, that’s led to that change? For example, I recall you showing off the BiLT Revelator on the band’s blog; did you get a chance to pick one up? I was on the verge of getting one of those BiLT Guitars, but I just don't have that kind of money to drop. Actually, those Guitars are very fair priced for custom built instruments, but unfortunately I just never have $1,800.00 sitting around. I haven't really added much to my gear setup; in fact I actually simplified it. The writing is more spacey and the album has sort of a cosmic concept album theme. There seems to be more spacey electronic beats and synth stuff mixed with the washed out guitars that will make for a very unique Daysleepers experience. So far I am very pleased with what we have. It is space rock no doubt about it. It's pretty simple. All it takes is an 27" iMac, GarageBand, Apogee Jam input, Fender Jazzmaster, 6 BOSS Pedals + Digital Pedals, Condenser Mic, e-bow, an iPad and a metal guitar slide. That's all I am using to make this album. Mario has an electronic drum set now and Scott has his amazing 70's Fender Jazz Bass which will both be appearing as well. I usually just lay down a generic beat and bass line to write to. Then I put my guitars and vocals down and some synth stuff. Eventually I will ship the songs over to Mario and Scott to add the final bass and drums. Then we will all mix and master the album together as a final step. When it comes to label releases versus DIY/bandcamp/crowdsourcing and the like, what is your stance, if any? I've done both label and DIY and basically they are about equal to me. They both have pluses and minuses. With a label you get more expose and sell more, but the label takes a big chunk of it. With DIY you get less exposure and sales but you keep all the money you make. In my experience it worked out about the same. It will be fun with the new album to DIY the Digital release and make a Vinyl version with Clairecords if they are interested. I think that would be the best of both worlds for our situation. For me it is all Vinyl and .mp3. Audio-wise my ears can't tell the difference. MP3s are just so flexible. I load them all up on my iPad and iPod and I have all of my music at my fingers. However, I do collect vinyl because of the big artwork and almost all the time now you get a download with it, so you really can't go wrong. I am a sucker for packaging, so if a band has great album artwork and they are good, I will buy it up! “Stereo Honey” from the Soft Attack EP. I feel it has the perfect mix of all of the influences that influenced the Daysleepers sound. It has the prettiness of Slowdive, the thickness of My Bloody Valentine and some sparkling elements of The Cure in the clean guitar parts. I am most proud of the melody in that song which reminds me a bit of the Cocteau Twins. It is really just a catchy pop song with noise, and it has a very abstract, hazy feel which I am always trying to achieve. That one just does it the best for me. That is a really tough question though. I am so close to all of our songs. It has changed so much over the years. It started with me just writing all the songs and the rest would just add their parts. Then we just started writing everything together, and now we are back to the first method again. They all result in material that I am happy with, but it definitely changes the sound. On a non-musical tangent, how has your design work been treating you? Have there been any particularly interesting projects or future works you’d like to plug? Design, Illustration and now web coding have really been my full-time creative job and hobby. I have a 9 to 5 job and a freelance business doing these things. It is how I make my living. I could never make the kind of money off of the Daysleepers to pay my bills, so you can see why it gets prominence in my life. Aside from this, I have been illustrating and writing a children's book called "On a Winter's Night". Like everything I do, it is very atmospheric and dreamy. I am now in the process of finding a publisher for it. I love design and illustration. It was my hobby long before music and it continues to challenge and expand my creative abilities. I have always looked at the Daysleepers as my music/art project. It has been so much fun and I hope I can always do it in some capacity even though it may be a little…well….slow. Also, I want to thank all of our great fans for your support and patience, When the Sun Hits and the late Danny Lackey for the support and for being such a great person. Our thoughts are with Danny's family and friends. If they do tour, I hope they can come to London, or beautiful Brighton by the sea! Very nice interview. WTSH Classic Trax Archive: Bethany Curve. Vanish. New Track: 2 Hearts & Chemicals. Seek Out. New Single: Medicine. Long as the Sun. Video: Ex Cops. The Millionaire. Video: Panda Riot. Black Pyramids. Video: Still Corners. Berlin Lovers. Bandcamp Track of the Day: Tusindfald. Kys. New Track: The Sky Drops. Let it Sound. Video: IO Echo. When The Lilies Die. Album Review: IO Echo. Ministry of Love. Video: The Verve. Gravity Grave (live). Debut Single: SURFING. Hollow Sparrow. Video: Nightmare Air. Icy Daggers. New Video/Track: Small Black. Free at Dawn. Bandcamp Track of the Day: Half String. Honeycut. Live Video: The Mary Onettes. Hit the Waves. No Joy. Uhy Youi Yoi.